Things To Do in Hayesville | Clay Co N.C.
HAYESVILLE, NC – The Corner Coffee Shop on Hayesville’s Town Square added a new event to its line-up: Open Mic Night, a time for area storytellers, poets, and singer/songwriters to shine. The premiere of the sure-to-be-popular event will be held on Friday, Jan. 18, from 6:00 p.m. to 7:30 p.m. 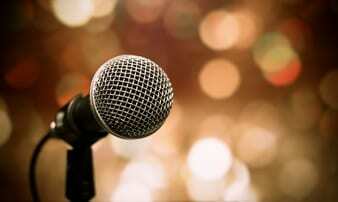 The first eight individuals to sign-up for rights to the microphone will be allotted six-to-eight minutes to share their talents with the crowd. Family-friendly language is required. Coffee and wine will be available onsite. In addition to wine tastings and live music, Corner Coffee Shop hosts drum circles each month. Visitors are invited to bring their own rhythm instrument to participate, or simply relax and enjoy the beats. The next edition of the drum circle is scheduled for Friday, Jan. 11, at 6 p.m. Patrons of the cafe describe the venue as a friendly, cozy spot to enjoy a good cup of coffee or a relaxing glass of wine. 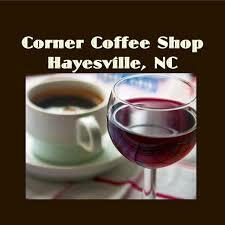 Corner Coffee Shop is located at 66 Church St. in Hayesville.